Hello guys, Its Friday and we are doing Denim!! Denim is one of the world’s oldest fabrics, yet it remains eternally young! It’s been around since forever!! For as long as I remember, people have been wearing denim. From stonewash/ distressed to baggy, to bell bottoms/flare, to skinny to ripped, it doesn’t get better than that!! 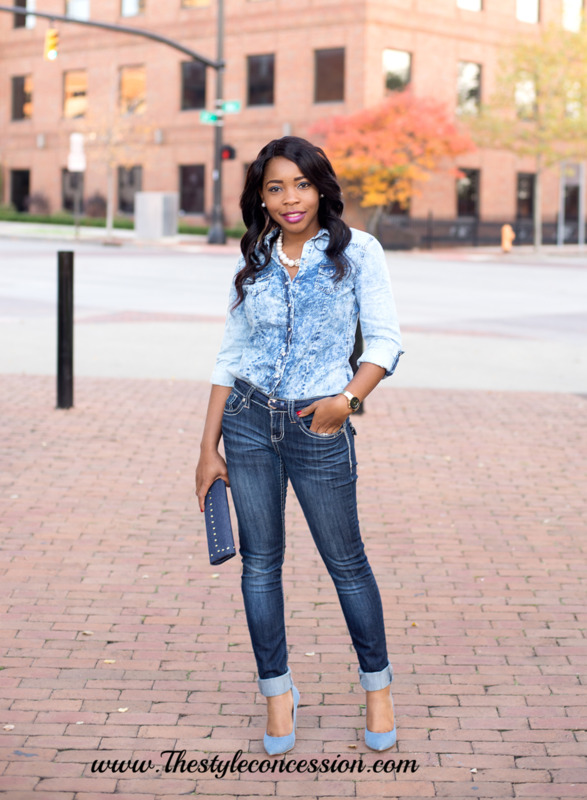 For this look I went totally denim! Head to toe. I would have done earrings too but I didn’t find any.